Oscar De La Hoya on McGregor and his long shot chances of how he could, in theory, beat the American in their upcoming boxing match. 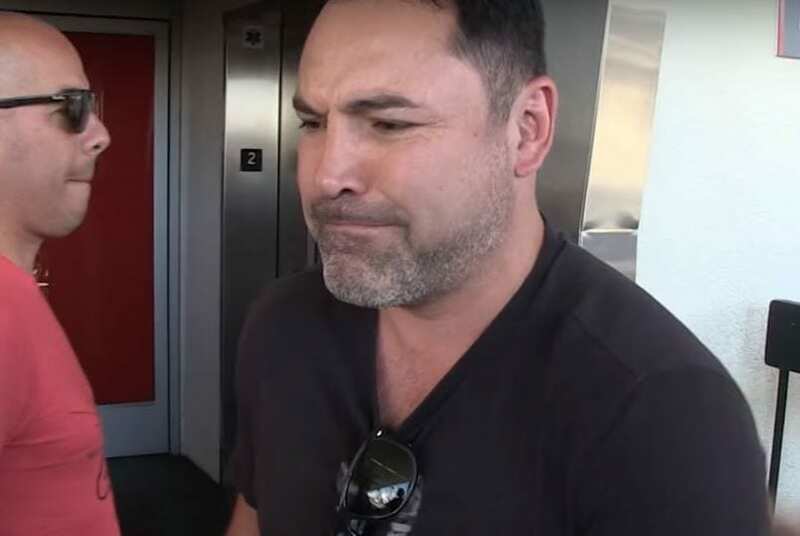 6-weight world champion turned promoter Oscar De La Hoya has been one of the most vocal in the boxing world slamming the Mayweather vs McGregor event since it was first confirmed. His view is a simple one – that it could harm boxing and that it is not a legitimate boxing match. While the second half of the former sentence might be true, the prevailing feeling from most is to just sit back and enjoy it for what it is – a fun event and spectacle that casual sports fans across the globe have clamoured for. It should be the biggest selling pay per view and single event in boxing history. More eyeballs on the sport can never be a negative thing, surely. Oscar has been joking about how the only way McGregor can beat Mayweather is by going to the body and ‘a flying kick to the head’ he told TMZ.